Quinns: Good morning everybody! How are we all? Are we feeling Christmassy yet? On second thoughts, perhaps we shouldn’t waste our energy on chit-chat. We have a dense and fibrous stack of news to get through, you and I. We’re going to be bloated with announcements by the end of this. Stuffed with stats. Packed with press releases. Let’s start with the smallest announcement and see how we fare, eh? 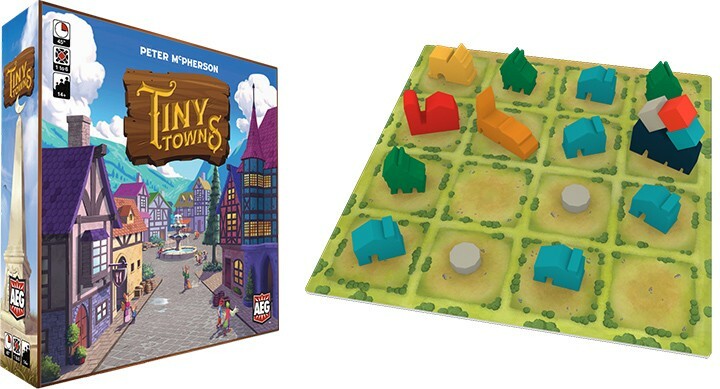 I'm talking about the tiny towns of Tiny Towns. Don’t Miss Our Streaming Tonight! Quinns: Hello my board-based bosom buddies! 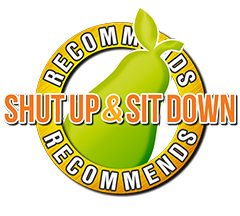 Shut Up & Sit Down's misadventures on Twitch will be continuing, live, any minute now, right here on our channel. You can expect the show to run from 7pm GMT to 10pm GMT. This week will be especially worth your time because we're playing a game that isn't even out yet- the next dexterity game from the makers of Flick 'Em Up and Junk Art, it's Men at Work! If you've not joined in the fun on our Twitch streams yet, lemme tell you, it's an absolutely fantastic time. Our Twitch commenters are routinely a lot funnier than the stream itself, and as hosts we're really starting to find our groove. In other words, try it! You might just like it. Time for me to join the others and take my place. I'll see some of there! Where to catch us at PAX Unplugged! Quinns: Hello my lovelies! This weekend Matt and I will be attending this week's big show in Philadelphia, PAX Unplugged. We won't have a stand or merch at the con, but we are doing a bunch of live shows. On Friday at 1pm we're doing a live podcast, offering our first impressions of exciting games like Reykholt, Captains of the Gulf and Trapwords. The show will be followed by a quick Q&A. Later on Friday at 7pm I'll be appearing on a panel about the past, present and future of storytelling in games. On Saturday at 5:30pm Matt and I are running a special gameshow edition of The Champion of the Wild, which should be amazing. We've got slides and I've done preparation and everything. On Sunday at 11am I'm giving a 15 minute talk on birds over at the Kickstarter booth (which isn't on the schedule, but is definitely happening), and then at 11:30am Matt and I will be dashing over to the autograph area to do our signing. Also, a quick word to the wise- usually our events have big queues outside before they start, which means a lot of people assume that there won't be room for them and don't try and get into the event. This is a mistake! PAX has huge theatres with room for everybody and then some, so if you just wait until they've let the big line into the theatre, you should be able to waltz right in. See you this weekend, everybody! Matt: It’s a snappy news roundup this week, as Quinns and I are both prepping and packing for a journey to Philadelphia's PAX Unplugged! 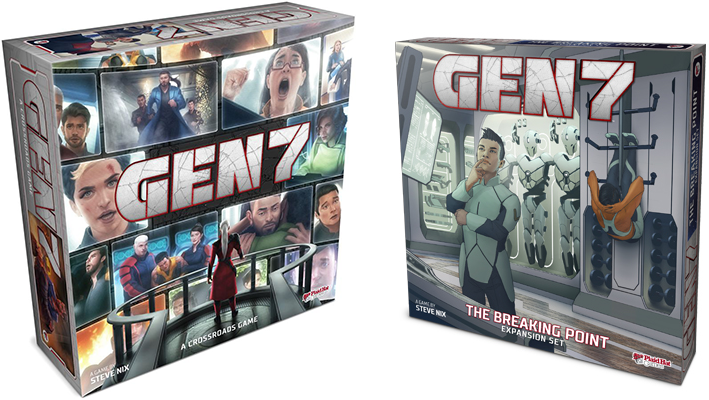 And oonce again we’re stuck with an impossible question- how many games do you bring to a gaming convention? Quinns: URGH. Bring too many and there’s no room in your bag for more games, bring too few I am reduced to a grumpy banshee, stalking the halls of my hotel and wondering why I have naught to play. 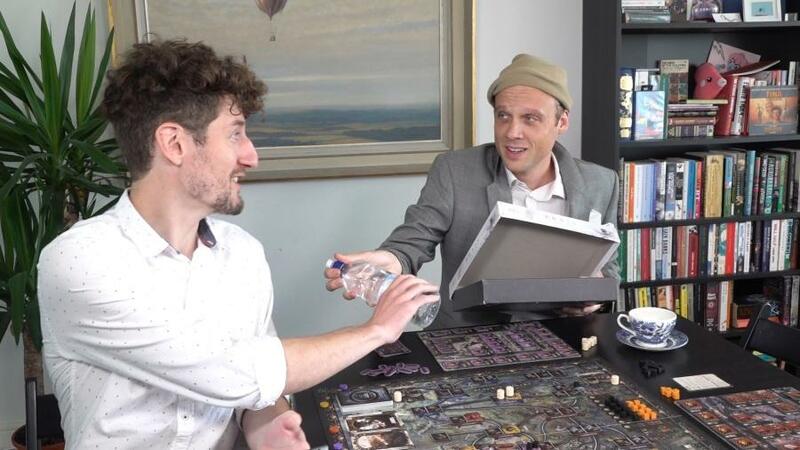 Matt: One of the games I’m definitely bringing is Keyforge, which Quinns and I are currently playtesting for our big, end-of-year blowout review. And actually, that game made headlines this month. Are you interested in working for SU&SD? Come intern! Quinns: Hello all! Big news today. With Paul moving on to pastures new, we're beginning the search for new team members. Today, we’re excited to announce a new, paid, part-time internship. 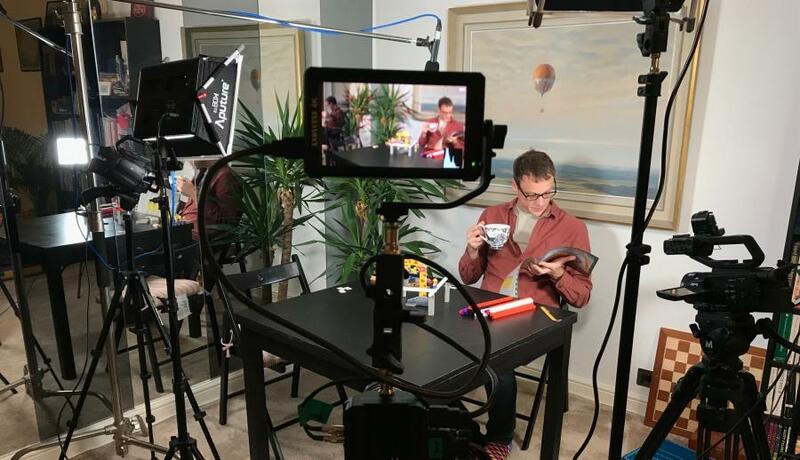 Throughout 2019, SU&SD will be offering a series of 3 month positions open to anyone in the UK interested in working with us, getting in front of our audience and learning everything that we can reasonably teach you about board games, scripting, video production, and all of the admin that gets stuck in-between. We can’t promise that any of these paid internships will lead to future work, but they really might. That said, even if they don’t, we’re confident we’ll be able to teach you a whole lot, and - if it’s something you want - we can help you to find your own audience. Matt: We’ve gotten pretty good at what we do, but new voices and perspectives are always important - so whilst wit and on-camera charisma are a boon, we’d like to make it clear that applicants for these internship needn’t have all the same skills that we do. Both myself and Quinns were lucky to start our careers in magazine writing - a culture that naturally cultivated mentorship and gave us both a really solid head start. In 2019 we’d like to try and pay this forward. If you or someone you know would like to apply, all of the details can be found here, and the deadline for applications is January 31st. Matt: After being firmly informed by readers last week that it is “never too early for ice-cream”, I have been scavenging in a safe radius around the news desk, seizing control of Viennetta factories, busting Cornetto bunkers wide, wide open - and generally taking control of all dairy choke-points. My mastery of breakfast sugar knows no bounds, and I am now fully prepared to dance upon the news desk. ...Cream, but also news. Let's get stuck in.